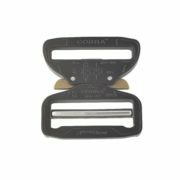 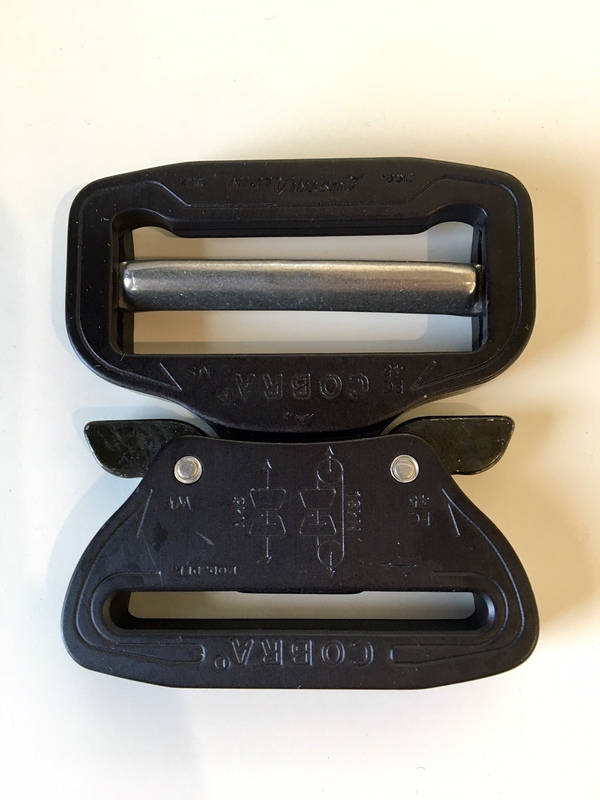 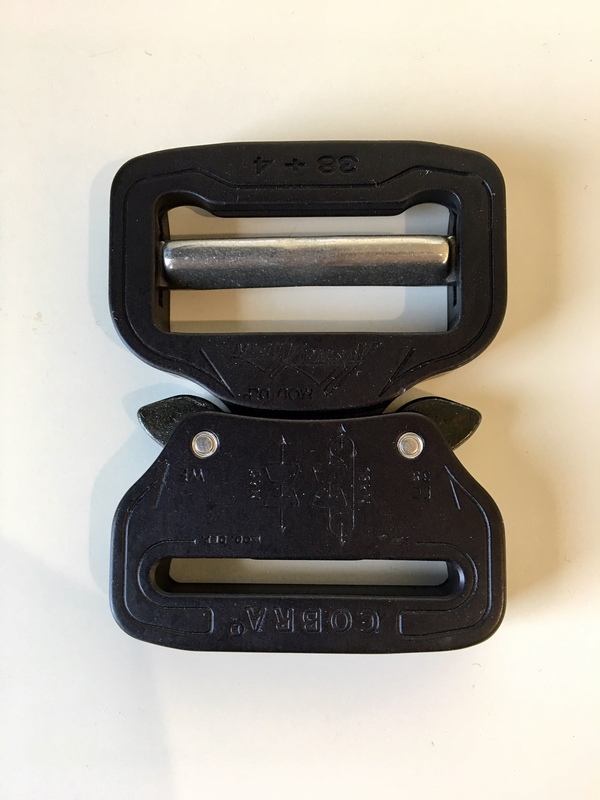 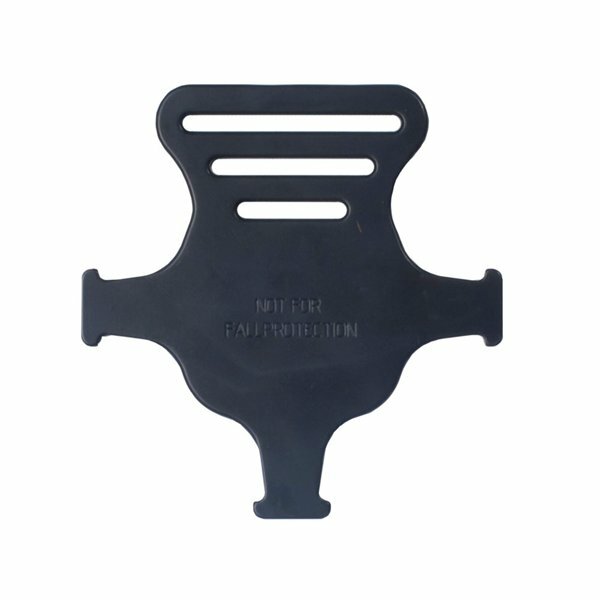 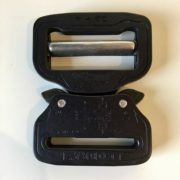 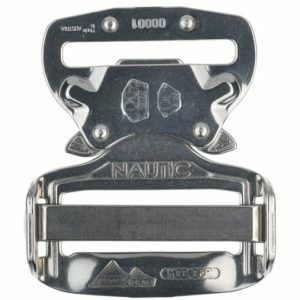 Single side stretch adjustable quick release buckle . 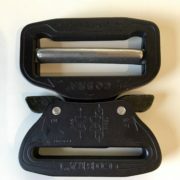 Available for webbings 38, 45, 58 mm. 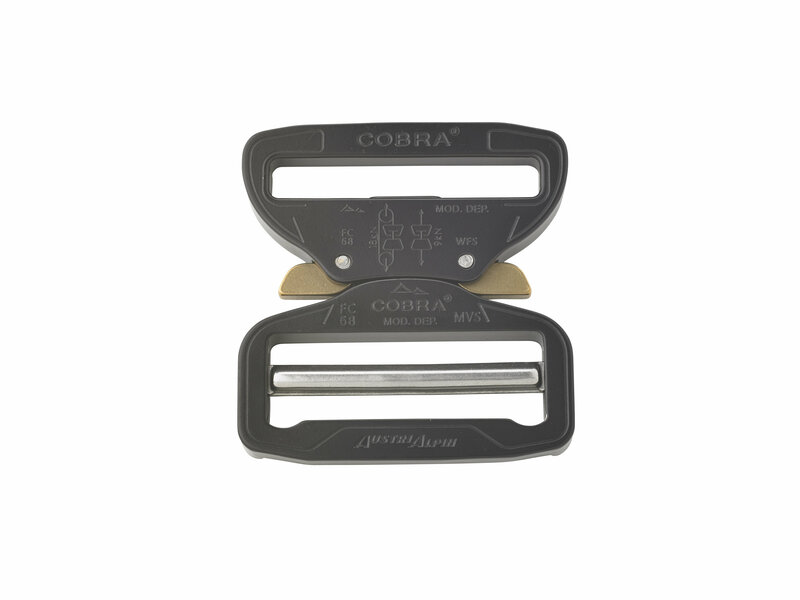 Thanks to the identical locking mechanism, all COBRA sizes are compatible. 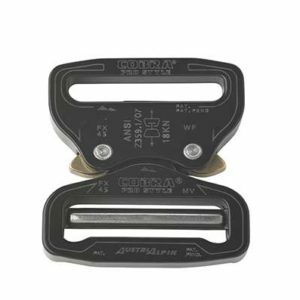 In combination with a fitting webbing, the minimum guaranteed load capacity of the cobra is 18 kN in loop configuration. 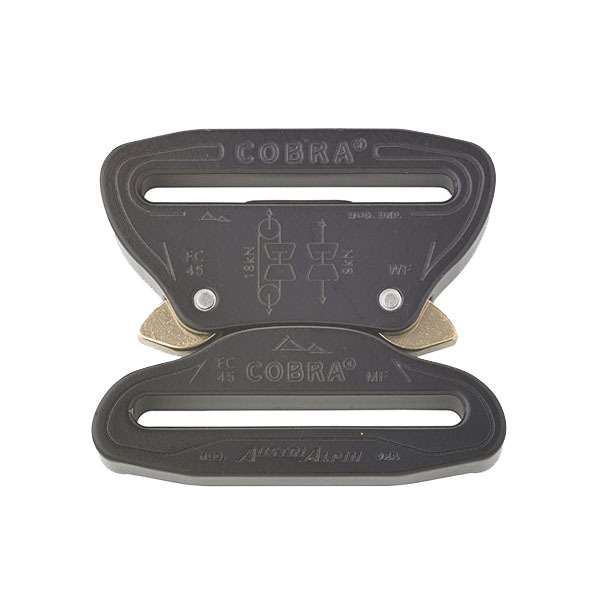 To be up to date please download the current cobra-compendium HERE.